We don’t want our RV’s gray-water tank to fill quickly when we are camping without a sewer connection. So, when we are doing dishes, washing hands, or the like, we put a dishpan tub in the kitchen sink. Next to the sink, we place a portable 6-gallon container, which we label as “gray water.” We use a large funnel to pour the dishpan water into the container. When we go out for the day, we load the container in the car and take it to a dump station. This allows us to take more showers. 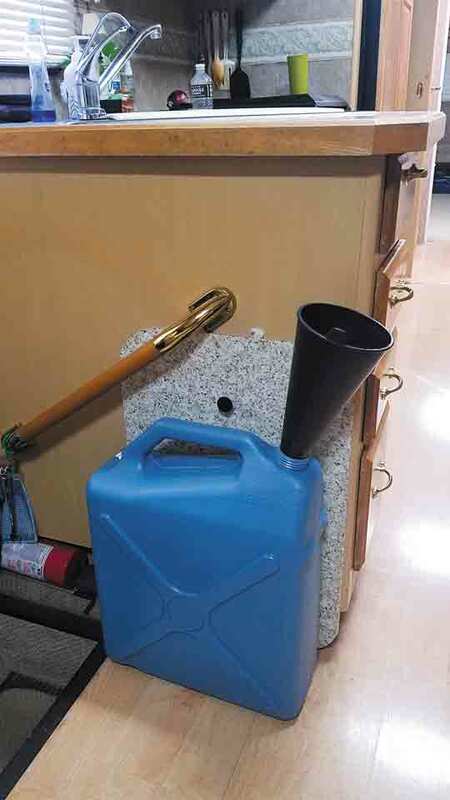 The first time we tried this, we put five gallons of gray water into that 6-gallon container in 24 hours. Often after traveling over rough roads in our RV, I have opened the kitchen cupboards to find dishes scattered about. Here is my remedy. 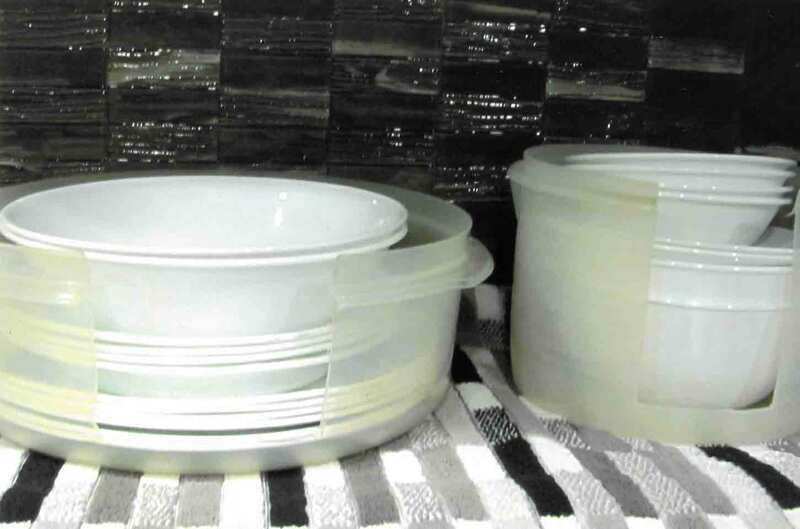 I bought tall plastic food-storage containers that are slightly larger in diameter than our dishes. I cut out a section of each container so we have access to the bottom dishes. The extra height allows me to combine different dishes in one container. Now, our dishes stay in place.